Swann Morton No 6 Non Sterile Blades, Individually VPI protected in Metal Foil Packs of 5 Blades. Available in Grip-Seal a bag of 25 or 50 Blades or Boxes of 100 Blades ( note the grip-seal bags of 25 and 50 are packed by Scalpels and Blades ). We now offer a Grip-Seal bag of 10 in single foil packs. Swann Morton No 9 Non Sterile Blades, Individually VPI protected in Metal Foil Packs of 5 Blades. Available in Grip-Seal a bag of 25 and 50 Blades or Boxes of 100 Blades ( note the grip-seal bags of 25 and 50 are packed by Scalpels and Blades ). We now offer a Grip-Seal bag of 10 in single foil packs. Swann Morton No 10 Non Sterile Blades, Individually VPI protected in Metal Foil Packs of 5 Blades. Available in Grip-Seal a bag of 25 or 50 Blades or Boxes of 100 Blades ( note the grip-seal bags of 25 and 50 are packed by Scalpels and Blades ). We now offer a Grip-Seal bag of 10 in single foil packs. 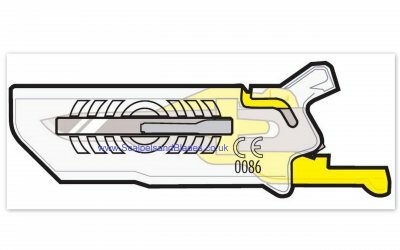 Also available in boxes of 100 Blades packed in single foil packs ref 3001 Material: Carbon Steel Overall Length 40.43mm Width 7.30mm Thickness 0.36mm Cutting edge 25.90mm All measurements are for guidance only. 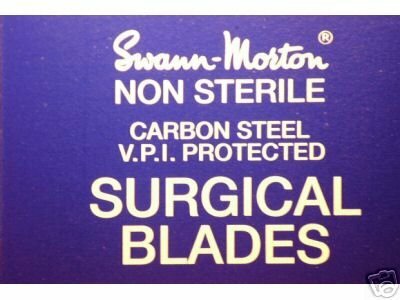 Swann Morton No 12D Non Sterile Blades, Individually VPI protected in Metal Foil Packs of 5 Blades. Available in Grip-Seal a bag of 10, 25 and 50 Blades or Boxes of 100 Blades ( note the grip-seal bags of 10, 25 or 50 are packed by Scalpels and Blades ). Swann Morton No 14 Non Sterile Blades, Individually VPI protected in Metal Foil Packs of 5 Blades. Available in Grip-Seal a bag of 10, 25 and 50 Blades or Boxes of 100 Blades ( note the grip-seal bags of 10, 25 or 50 are packed by Scalpels and Blades ). Swann Morton No 15T Non Sterile Blades, Individually VPI protected in Metal Foil Packs of 5 Blades. Available in Grip-Seal a bag of 10, 25 and 50 Blades or Boxes of 100 Blades ( note the grip-seal bags of 10, 25 or 50 are packed by Scalpels and Blades ). Swann Morton No 16 Non Sterile Blades, Individually VPI protected in Metal Foil Packs of 5 Blades. Available in Grip-Seal a bag of 10, 25 and 50 Blades or Boxes of 100 Blades ( note the grip-seal bags of 10, 25 or 50 are packed by Scalpels and Blades ). 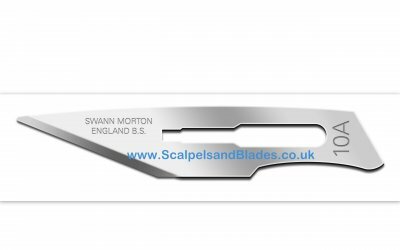 Swann Morton No E/11 Non Sterile Blades, Individually VPI protected in Metal Foil Packs of 5 Blades. Available in Grip-Seal a bag of 10, 25 and 50 Blades or Boxes of 100 Blades ( note the grip-seal bags of 10, 25 or 50 are packed by Scalpels and Blades ). Swann Morton Sabre E/11 Non Sterile Blades, Individually VPI protected in Metal Foil Packs of 5 Blades. Available in Grip-Seal a bag of 10, 25 and 50 Blades or Boxes of 100 Blades ( note the grip-seal bags of 10, 25 or 50 are packed by Scalpels and Blades ). 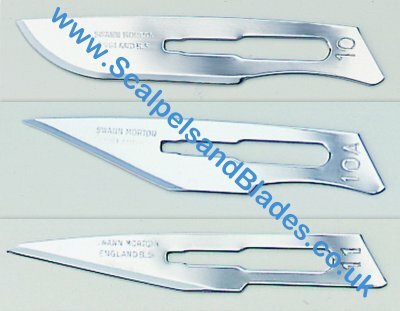 Swann Morton Sabre D/15 Non Sterile Blades, Individually VPI protected in Metal Foil Packs of 5 Blades. Available in Grip-Seal a bag of 10, 25 and 50 Blades or Boxes of 100 Blades ( note the grip-seal bags of 10, 25 or 50 are packed by Scalpels and Blades ). 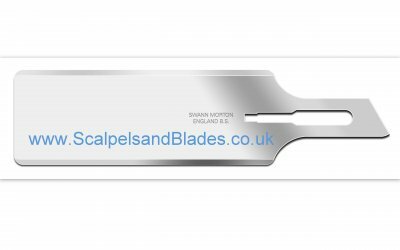 Swann Morton Sterile SG3 Skin Graft Blades, With a cutting edge of 46mm. Single Peel Packs in Metal Foil. Available in Boxes of 20 Blades or Grip Seal bag of 5 Blades. Swann Morton No 10 Sterile Carbon Steel Surgical Blades. Box of 100 Packets single peel in metal foil VPI protected. BS 2982 Material: Carbon Steel Overall Length 40.43mm Width 7.30mm Thickness 0.36mm Cutting edge 25.90mm All measurements are for guidance only. 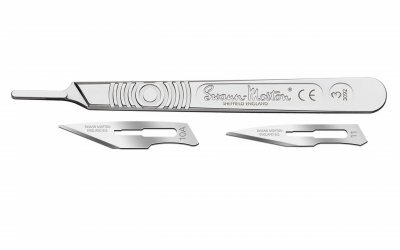 Swann Morton No 40 Sterile Carbon Steel Surgical Blades. Box of 100 Packets single peel in metal foil VPI protected. BS 2982 Grip Seal bags of 10 Blades are repacked by Scalpels and Blades. Swann Morton No15C Sterile Stainless Steel Surgical Blades. Box of 100 single peel in metal foil VPI protected. Swann Morton No 10A Non Sterile Blades, Individually VPI protected in Metal Foil Packs of 5 Blades. 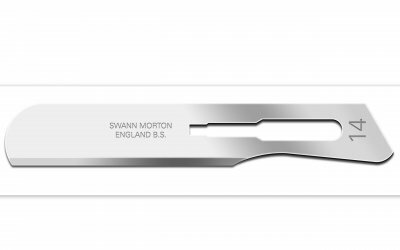 Swann Morton No 10A Sterile Stainless Steel Surgical Blades. Box of 100 Blades single peel in metal foil VPI protected. 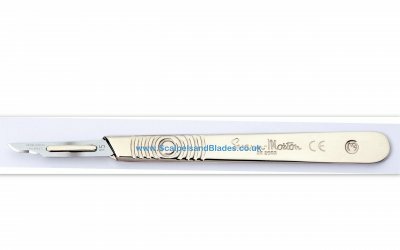 Swann Morton No 10 Sterile Stainless Steel Surgical Blades. Box of 100 Blades single peel in metal foil VPI protected. Material: Stainless Steel Overall Length 40.43mm Width 7.30mm Thickness 0.36mm Cutting edge 25.90mm All measurements are for guidance only. Swann Morton No 11 Sterile Stainless Steel Surgical Blades. Box of 100 Blades single peel in metal foil VPI protected. Swann Morton No 15A Sterile Stainless Steel Surgical Blades. Box of 100 Blades single peel in metal foil VPI protected. Swann Morton No 15 Sterile Stainless Steel Surgical Blades. Box of 100 Blades single peel in metal foil VPI protected. This pack includes 10 x No 10 Blades + 10 x No 10A Blades + 10 x No 11 Blades. 30 Blades in total. 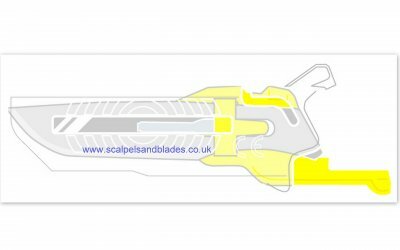 The second photo show the single peel packs, This clearly shows which Blade is in the peel pack. 1 x No3 Stainless Steel Handle ref 0933 50 x No10A Non Sterile Blades ref 0102 / 50 50 x No11 Non Sterile Blades ref 0103 / 50 Photo's not to scale. Following the popularity of the SGD sterile single use Disposable Scalpels a demand has arisen for the supply of the double edged stainless steel SGD blade to be used in conjunction with the standard Stainless Steel No.3 fitment surgical handle. The blades are provided sterile, individually sealed in foil packs and boxed in units of 20. Swann Morton No12 Sterile Stainless Steel Surgical Blades. Box of 100 single peel Blades. 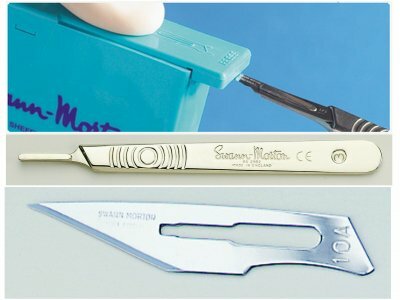 Swann Morton No15T Sterile Stainless Steel Surgical Blades. Box of 100 single peel Blades. Individually sealed in a paper film pack, sterilised and boxed in units of 50. Individually sealed in a paper film pack, sterilised and boxes in units of 50. Please not photo does not show the No15T Blade. Swann Morton No 14 Sterile Stainless Steel Surgical Blades. Box of 100 Blades single peel in metal foil VPI protected. 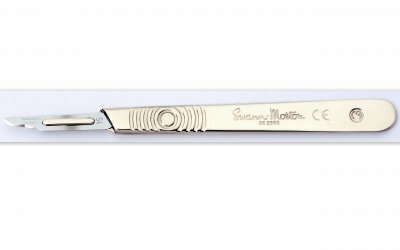 Swann Morton No 13 Sterile Stainless Steel Surgical Blades. Box of 100 Blades single peel in metal foil VPI protected. 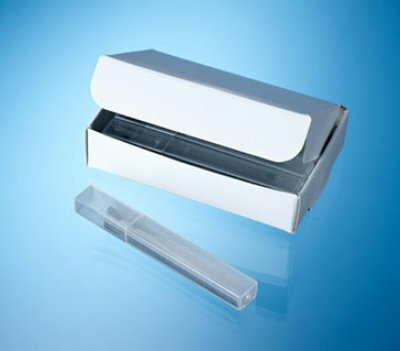 Individually sealed in paper film pack, sterilised and boxed in units of 50. New to the range for 2018 and commonly referred to as the "butter blade" the 10R can be used in Aesthetic procedures such as "Dermaplaning" which helps to "refinish" the skin's top layers through a method of controlled surgical scraping which exfoliates the epidermis. Shorter and more rounded than the 14 it is ideal for getting into smaller more restricted areas of the face and the rounded (bull nose) tip prevents any accidental snagging thus providing a more effective and consistent finish. 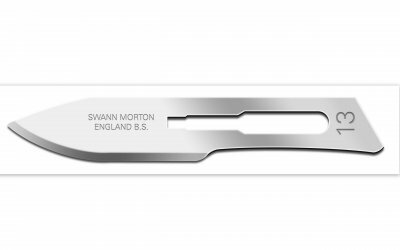 Swann Morton No 10R Sterile Stainless Steel Surgical Blades. Box of 100 Blades single peel in metal foil VPI protected.